Double sided foam adhesive pads. For 3D work and decoupage. 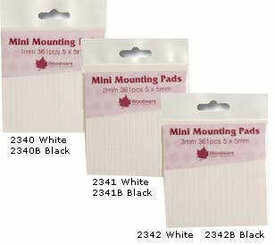 5x5mm pads, 361pads per pack. Available in 1mm,2mm and 3mm thicknesses. Black or White.